The amazing Amalfi Coast! Made with an exceptional geologic formation the Amalfi Coast has got many inlets with an unique beauty. Additionally, there are many places stationed on it that need to be visited at least once in a life. 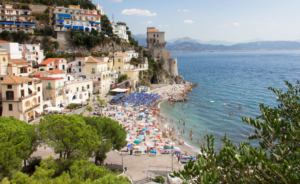 On this top 10 we’re going to study the best places to visit on the Amalfi Coast! We’ll start with the place that is considered to be the main one of the Coast. It is not by chance that we like to talk about Amalfi Coast. That’s why Amalfi is considered to be the main location of the area. The location gives many panoramic places with many paths that get until the same level of the sea. 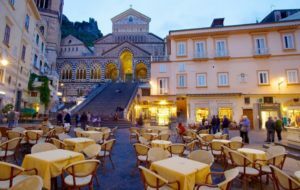 Even at the evening, it may be very nice visiting Amalfi, maybe taking some relax by sitting on its traditional chalets. Agerola is a places set on an higher position on the Coast. But in any cases it is a destination that can’t be missed. Indeed, there are many other different activities that you can do on Agerola. For the example, people whose most like adveture, of course they will appreciate the well-known, “Gods’ Path”, a path that will take you on a place where you can enjoy the whole beauty of the Coast. Furore is a little city of the Amalfi Coast. It looks like a real hamlet, a little place that very few people know. Anyway, Furore is a place of an amazing beauty! Many people visit the fjord that looks out to a limpid crystalline sea water. A real piece of Heaven! Cetara is a very pretty place, very typical on the Coast. It is little but full of natural beauties. It is with no doubt one of the places to visit on the Amalfi Coast. All beaches on Cetara are very crowded durin summer times. Go swimming there is a chance that you can’t be miss. Two places that are almost attacked with each others, Minori and Maiori are two localities that must be visited on the Coast. 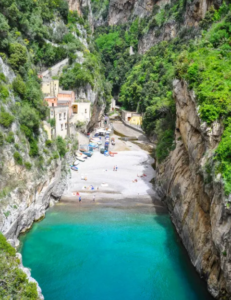 Then, on Minori, there’s the largest beach of all the Coast, the best for famies with children who want to play on the sand and feel them free. 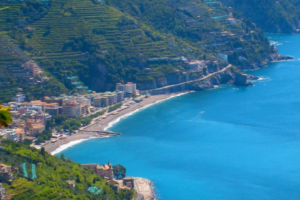 We’re concluding with the first part of the places to visit on the Amalfi Coast. Are you curious to visit the Coast? Then, find out all our special offers for tours to get to Amalfi Coast!